Yes I am totally totally crushing on Orla Kiely for People Tree. Why do companies keep doing this to me? First it was Clarks and now People Tree, and whats worse is I love both of those brands already and know they will be really good quality too..which doesn't help with my longing. I love number one for sure! Pink is my favourite colour and I have nothing like that dress in my closet currently. I am in the process of trying to find a charity shop that can come to my house to take away all the clothes and such that we have in the house...then I can add new items into the wardrobe. 1 & 3 are dreamy! i seriously want them both. booo to being poor (more than usual when there's pretty dresses to be had). I said it on Facebook, and I'll say it again - that mustard one is hands down the most beautiful dress I've ever seen! The Sugar Daddy boots look sweet! Dayre boots in brown are my fave. The Marni Dress - practical and lovely all in one! The Doutzen dress, although it was hard to choose as I loved many pieces! I love the Mara dress! Thanks so much for the intro to this designer! I'm so happy I found your site through Pinterest. 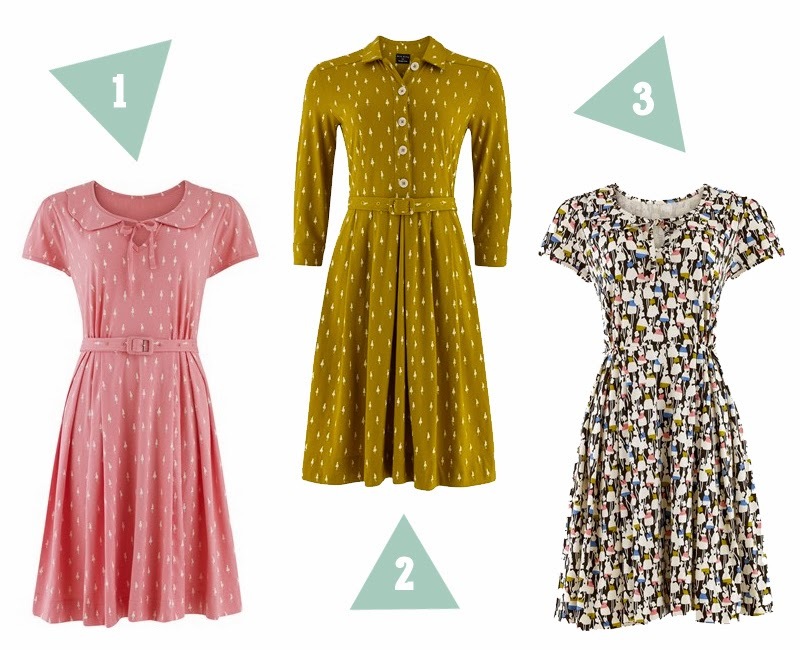 love the colours and the prints...and just anything that involves Orla Kiely, and people tree for that matter! I never thought I'd like this cut-out boot trend, but these are excellent. I love the buckle! The sugar daddy boots would suit my girl. I'm a HUGE Orla fan & on day 55 of a spending ban. Ahhh this is such a test! I LOVE the Quincy dress. Yellow is one of my favourite colours to wear at the minute. The Kate dress is lovely, too. LOVE the Kate Dress http://sonnetjames.com/shop-1/dress-6 it's gorgeous. Love the Kate dress but they are all very wearable. Marni Dress looks really stylish and comfortable. http://www.rocketdog.co.uk/.TALISA-BOOT_TALISADP.htm - Talisa boot - good grips, nice height and look great with jeans or a dress! These look really easy to wear, great competition!